To be the best, you must learn from the best. 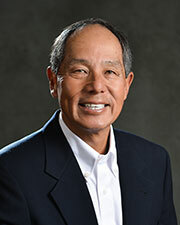 Ron Sagara has been extensively trained and tested in all aspects of the game by the PGA of America. Furthermore, he has been certified by USKids Golf in junior-specific instruction and club fitting. Ron understands the most effective way to approach each lesson, relying on a combination of visual, kinesthetic and verbal ques to communicate with students. Ron's mission is to inspire each student to reach their full potential, and instill in them the positive character traits that golf has to offer both on and off the golf course. He hopes that each student develops a love for the game and is able to set their own goals in the area of golf, health and fitness. Reservations can be made online here. Please contact Ron directly if you have any questions or requests.